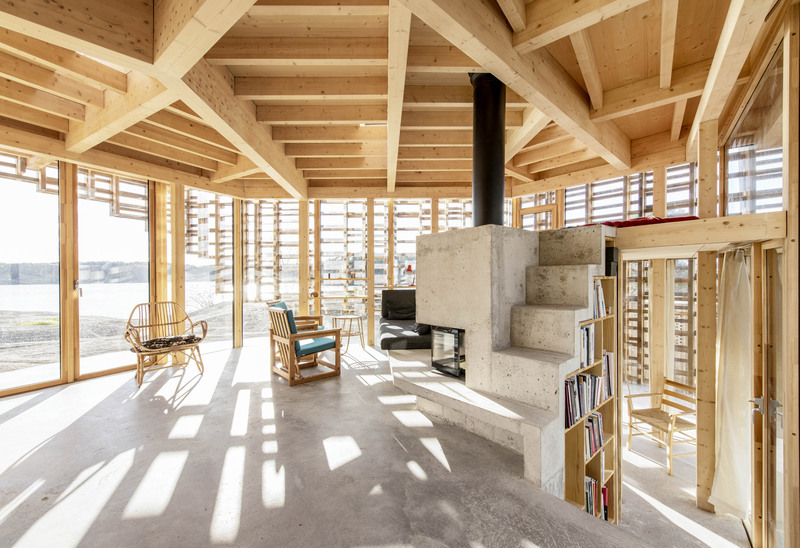 A prefabricated timber facade envelops the concrete split-level interiors of this cabin, which Atelier Oslo has slotted onto an outcrop in Skåtøy, Norway. Norwegian studio Atelier Oslo designed the dwelling for a pair of artists who wanted a retreat for contemplation and working on the coast of the Scandinavian island. 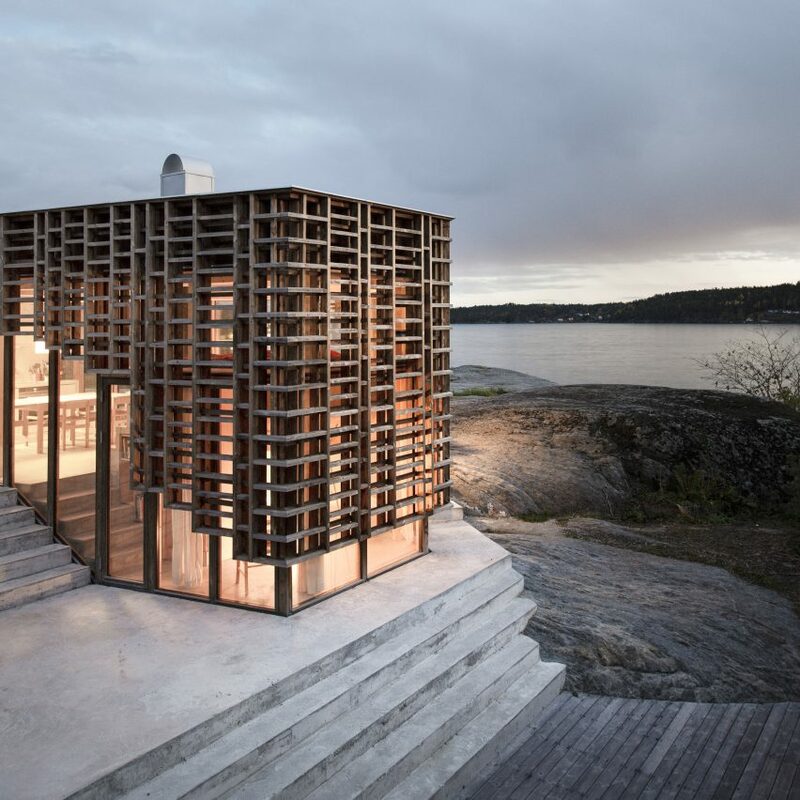 The cabin, named House on an Island, features large glazed walls wrapped by a gridded facade that is intended to create a “calm atmosphere” by filtering light like the leaves of a tree. “The inspiration came from the feeling you have when sitting under a tree. 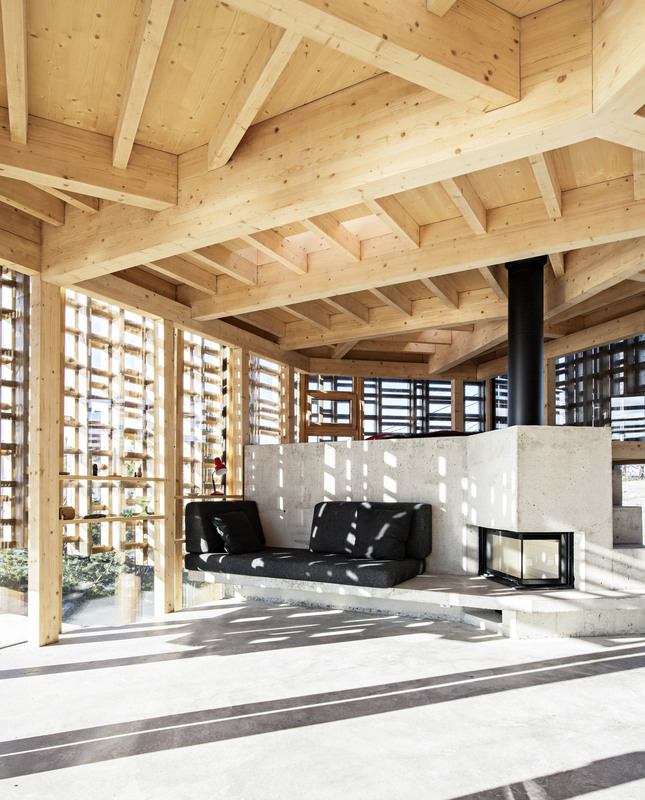 Getting the rays of sun filtering through the branches,” founding partner at Atelier Oslo Nils Ole Brandtzæg told Dezeen. 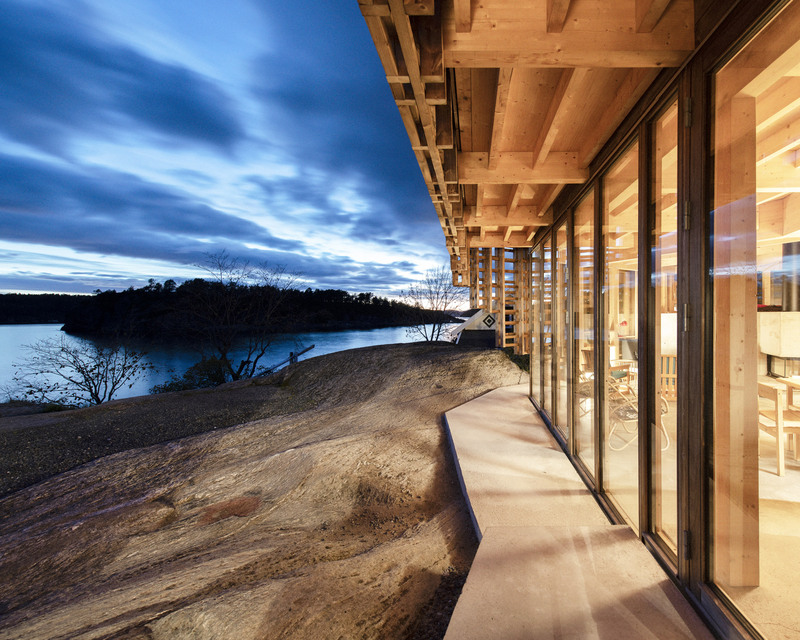 House on an Island’s facade slots onto the cabin’s timber frame. Both are made from heat-treated wood that will turn grey over time. The frame is embedded into a concrete base, which Atelier Oslo adapted to the topography of the site, forming a series of split-levels. “The topography of the site was carefully measured to integrate the rocks into the project,” explained the architecture studio. Inside, the cabin comprises an open-plan living room and kitchen, alongside a bathroom, two bedrooms and an office space. In the living room, Atelier Oslo has also used concrete to create a ruin-like structure that grows out from the building’s concrete floor. It incorporates a bench, fireplace, and a day bed that is elevated on a micro-mezzanine level. To help the house blend with its surroundings, the concrete extends outside and around the dwelling, creating a variety of different outdoor spaces for the house. Atelier Oslo is an architecture studio founded in 2006 by Nils Ole Bae Brandtzæg, Thomas Liu, Marius Mowe and Jonas Norsted. 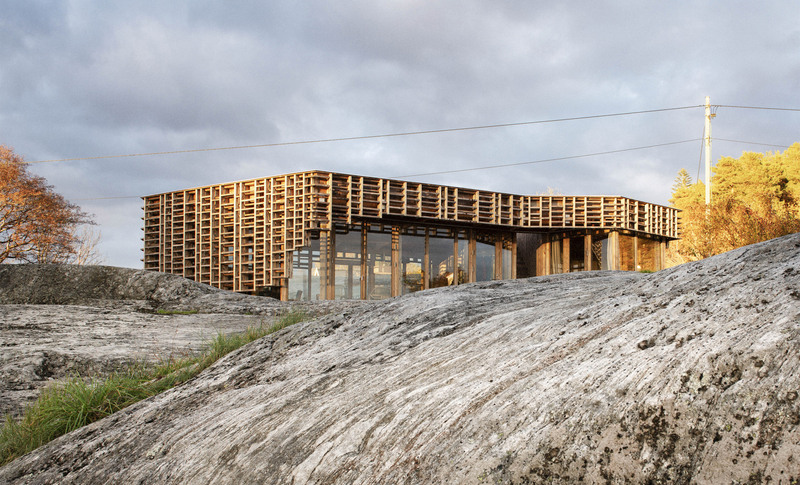 In 2014 it perched a basalt-clad cabin with a curvaceous wood interior on a slope in Norwegian forest. 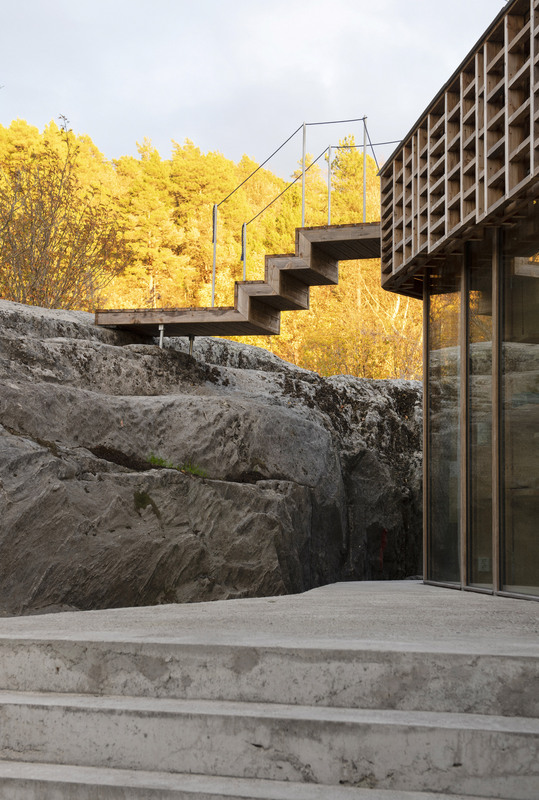 Architecture studio Sanden+Hodnekvam Arkitekter also recently completed a concrete retreat in Norway, which sits beside an outcrop beside the Beitstadfjorden. 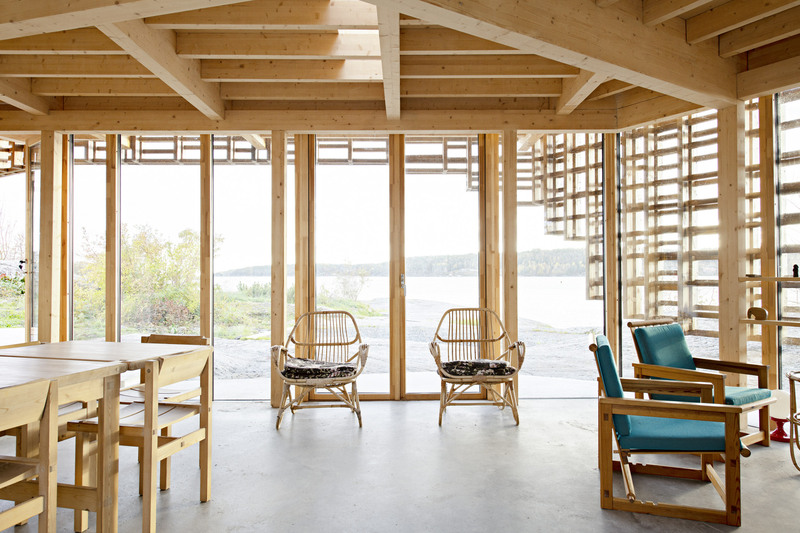 Named Cabin at Rones, the dwelling was commissioned by a couple who wanted a simple space to relax and enjoy views of the fjord. Photography is by Ivar Kvaal. 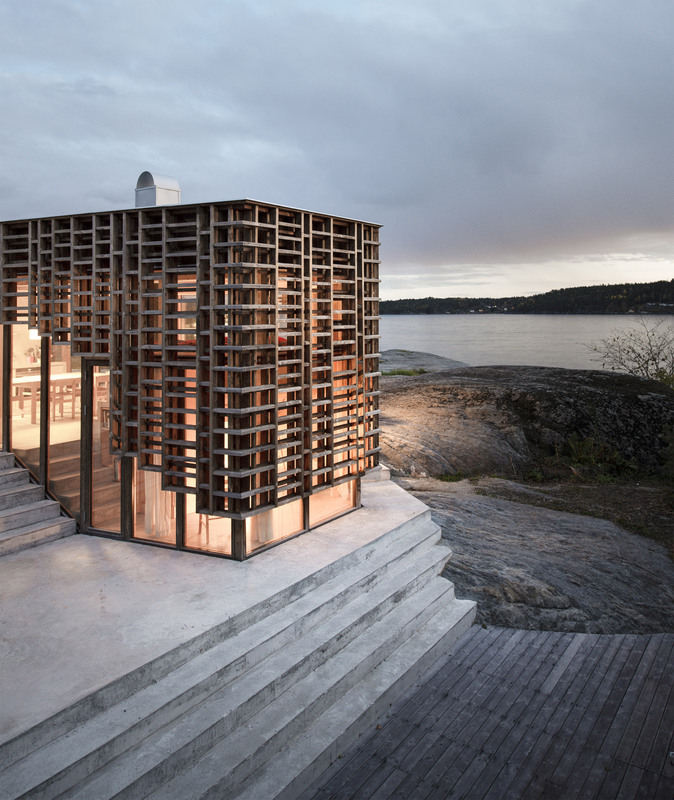 The post Atelier Oslo wraps House on an Island in gridded timber facade appeared first on Dezeen. Join our mailing list to receive the latest industry news and updates from the DCPI team.